If you just download the bits for Windows Server 8 Beta and you are anxious to try out all the great new features including Windows Storage Spaces, Continuously Available Fail Servers and Hyper-V Availability. Many of those new features are going to require you become familiar with Windows Server Failover Clustering. In addition, things like Storage Spaces are going require that you have access to additional storage to simulate JBODS. Windows iSCSI Target Software is a great way for you to provide storage for Failover Clustering and Spaces in a lab environment so you can play around with these new features. My three servers are all virtual machines running on VMware Workstation 8 on top of my Windows 7 laptop with 16 GB of RAM. See my article on how to install Windows Server 8 on VMware Workstation 8. The article consist mostly of screen shots, but I also add notes where needed. Click on Add roles and features to install the iSCSI target role. You will find that the iSCSI target role is a feature that is found under File And Storage Servers/File Services. Just select iSCSI Target Server and click Next to begin the installation of the iSCSI Target Server role. The first step in creating an iSCSI target is to create an iSCSI Virtual Disk. Click on Launch the New Virtual Disk wizard to create a virtual disk. Welcome to Part 1 of my series “Step-by-Step: Configuring a 2-node multi-site cluster on Windows Server 2008 R2″. Before we jump right in to the details, let’s take a moment to discuss what exactly a multi-site cluster is and why I would want to implement one. Microsoft has a great webpage and white paper that you will want to download to get you all of the details, so I won’t repeat everything here. But basically a multi-site cluster is a disaster recovery solution and a high availability solution all rolled into one. A multi-site cluster gives you the highest recovery point objective (RTO) and recovery time objective (RTO) available for your critical applications. With the introduction of Windows Server 2008 failover clustering a multi-site cluster has become much more feasible with the introduction of cross subnet failover and support for high latency network communications. I mentioned “cross-subnet failover” as a great new feature of Windows Server 2008 Failover Clustering, and it is a great new feature. However, SQL Server has not yet embraced this functionality, which means you will still be required to span your subnet across sites in a SQL Server multi-site cluster. As of Tech-Ed 2009, the SQL Server team reported that they plan on supporting this feature, but they say it will come sometime after SQL Server 2008 R2 is released. For the foreseeable future you will be stuck with spanning your subnet across sites in a SQL Server multi-site cluster. There are a few other network related issues that you need to consider as well, such as redundant communication paths, bandwidth and file share witness placement. All Microsoft failover clusters must have redundant network communication paths. This ensures that a failure of any one communication path will not result in a false failover and ensures that your cluster remains highly available. A multi-site cluster has this requirement as well, so you will want to plan your network with that in mind. There are generally two things that will have to travel between nodes: replication traffic and cluster heartbeats. In addition to that, you will also need to consider client connectivity and cluster management activity. You will want to be sure that whatever networks you have in place, you are not overwhelming the network or you will have unreliable behavior. Your replication traffic will most likely require the greatest amount of bandwidth; you will need to work with your replication vendor to determine how much bandwidth is required. With your redundant communication paths in place, the last thing you need to consider is your quorum model. For a 2-node multi-site cluster configuration, the Microsoft recommended configuration is a Node and File Share Majority quorum. For a detailed description of the quorum types, have a look at this article. The most common cause of confusion with the Node and File Share Majority quorum is the placement of the File Share Witness. Where should I put the server that is hosting the file share? Let’s look at the options. Option 1 – place the file share in the primary site. This is certainly a valid option for disaster recovery, but not so much for high availability. If the entire site fails (including the Primary node and the file share witness) the Secondary node in the secondary site will not come into service automatically, you will need to force the quorum online manually. This is because it will be the only remaining vote in the cluster. One out of three does not make a majority! Now if you can live with a manual step being involved for recovery in the event of a disaster, then this configuration may be OK for you. Option 2 – place the file share in the secondary site. This is not such a good idea. Although it solves the problem of automatic recovery in the event of a complete site loss, it exposes you to the risk of a false failover. Consider this…what happens if your secondary site goes down? In this case, your primary server (Node1) will go also go offline as it is now only a single node in the primary site and will no longer have a node majority. I can see no good reason to implement this configuration as there is too much risk involved. This is the preferred configuration as it allows for automatic failover in the event of a complete site loss and eliminates any the possibility of a failure of the secondary site causing the primary node to go offline. By having a 3rd site host the file share witness you have eliminated any one site as a single point of failure, so now the cluster will act as you expect and automatic failover in the event of a site loss is possible. Identifying a 3rd geographic location can be challenging for some companies, but with the advent of cloud based utility computing it is well within the reach of all companies to put a file share witness in the clouds and have the resiliency required for effective multi-site clusters. In fact, you may consider the cloud itself as your secondary data center and just failover to the cloud in the event of a disaster. I think the possibilities of cloud based computing and disaster recovery configurations are extremely enticing and in fact I plan on doing a whole blog post on a just that in the near future. Now that we have the basics in place, let’s get started with the actual configuration of the cluster. You will want to add the Failover Clustering feature to both nodes of your cluster. For simplicity sake, I’ve called my nodes PRIMARY and SECONDARY. This is accomplished very easily through the Add Features Wizard as shown below. Next you will want to have a look at your network connections. It is best if you rename the connections on each of your servers to reflect the network that they represent. This will make things easier to remember later. You will also want to go into the Advanced Settings of your Network Connections (hit Alt to see Advanced Settings menu) of each server and make sure the Public network is first in the list. Your private network should only contain an IP address and Subnet mask. No Default Gateway or DNS servers should be defined. Your nodes need to be able to communicate across this network, so make sure the servers can communicate across this network; add static routes if necessary. Once you have your network configured, you are ready to build your cluster. The first step is to “Validate a Configuration”. Open up the Failover Cluster Manager and click on Validate a Configuration. The Validation Wizard launches and presents you the first screen as shown below. Add the two servers in your cluster and click Next to continue. A multi-site cluster does not need to pass the storage validation (see Microsoft article). Toskip the storage validation process,click on “Run only the tests I select” and click Continue. You will be presented with the following confirmation screen. Click Next to continue. If you have done everything right, you should see a summary page that looks like the following. Notice that the yellow exclamation point indicates that not all of the tests were run. This is to be expected in a multi-site cluster because the storage tests are skipped. As long as everything else checks out OK, you can proceed. If the report indicates any other errors, fix the problem, re-run the tests, and continue. You are now ready to create your cluster. In the Failover Cluster Manager, click on Create a Cluster. The next step asks whether or not you want to validate your cluster. Since you have already done this you can skip this step. Note this will pose a little bit of a problem later on if installing SQL as it will require that the cluster has passed validation before proceeding. When we get to that point I will show you how to by-pass this check via a command line option in the SQL Server setup. For now, choose No and Next. The next step is that you must create a name for this cluster and IP for administering this cluster. This will be the name that you will use to administer the cluster, not the name of the SQL cluster resource which you will create later. Enter a unique name and IP address and click Next. Note: This is also the computer name that will need permission to the File Share Witness as described later in this document. Confirm your choices and click Next. Congratulation, if you have done everything right you will see the following Summary page. Notice the yellow exclamation point; obviously something is not perfect. Click on View Report to find out what the problem may be. If you view the report, you should see a few lines that look like this. Don’t fret; this is to be expected in a multi-site cluster. Remember we said earlier that we will be implementing a Node and File Share Majority quorum. We will change the quorum type from the current Node Majority Cluster (not a good idea in a two node cluster) to a Node and File Share Majority quorum. First, we need to identify the server that will hold our File Share witness. Remember, as we discussed earlier, this File Share witness should be located in a 3rd location, accessible by both nodes of the cluster. Once you have identified the server, share a folder as you normally would share a folder. In my case, I create a share called MYCLUSTER on a server named DEMODC. The key thing to remember about this share is that you must give the cluster computer name read/write permissions to the share at both the Share level and NTFS level permissions. If you recall back at Figure 13, I created my cluster and gave it the name “MYCLUSTER”. You will need to make sure you give the cluster computer account read/write permissions as shown in the following screen shots. Now with the shared folder in place and the appropriate permissions assigned, you are ready to change your quorum type. From Failover Cluster Manager, right-click on your cluster, choose More Actions and Configure Cluster Quorum Settings. On the next screen choose Node and File Share Majority and click Next. In this screen, enter the path to the file share you previously created and click Next. Confirm that the information is correct and click Next. Assuming you did everything right, you should see the following Summary page. Now when you view your cluster, the Quorum Configuration should say “Node and File Share Majority” as shown below. The steps I have outlined up until this point apply to any multi-site cluster, whether it is a SQL, Exchange, File Server or other type of failover cluster. The next step in creating a multi-site cluster involves integrating your storage and replication solution into the failover cluster. This step will vary from depending upon your replication solution, so you really need to be in close contact with your replication vendor to get it right. Other parts of this series will describe in detail how to install SQL, File Servers and Hyper-V in multi-site clusters. I will also have a post on considerations for multi-node clusters of three or more nodes. I am here today to discuss the troubleshooting switches used to start a Windows 2008 and 2008 R2 Failover Cluster. From time to time, the Failover Cluster Service will not start on its own. You need to start it with a diagnostic switch for troubleshooting purposes and/or to get it back to production. More detailed information on the above switches can be found in KB258078. However, the above switches have changed for Windows 2008 and 2008R2 Failover Clusters. The only switch that is available for Windows Server 2008 Failover Cluster is the FORCEQUORUM (or FQ for abbreviation) switch. The behavior differs from the FORCEQUORUM (or FO abbreviation) that was used previously in Windows Server 2003. So for our example, let’s say we a 2-node Failover Cluster that is set for Node and Disk Majority. That means that we have a total of three votes. To achieve “quorum”, it needs a majority of votes (two) for fully bring all resources online and make it available to users. This is where the FORCEQUORUM switch comes into play. When using this, it will force the Cluster to become available even though there is no “quorum”. There are multiple ways of forcing the Cluster Service to start. However, please keep in mind that there are some implications when running this. The implications are explained in this article. you can select shown below. This switch differs from Windows 2003. When you use it on Windows 2003 Server Clusters, you must also specify all other nodes that will be joining while in this state. If I was to just use the commands above and not specify the additional nodes, the other nodes will not be allowed to join the Cluster. I would need to basically fix the problem of the other nodes not being up, then stop the Cluster Service and start it again without the switch. This causes downtime and no one wants that. In Windows 2008 Failover Cluster, the switch will remain in effect until “quorum” is achieved. All you would need to do is start the other node Cluster Service and it will join. Once “quorum” is achieved, mode of the Cluster dynamically changes. In Windows Server 2008 R2 Failover Cluster, there is the same FORCEQUORUM (or FQ) switch as well as a new switch. This new switch is /IPS or /IgnorePersistentState. This switch is a little different in what it does. What this switch does is to start the Cluster Service as well as make the resources available; but, all groups and resources will be in an offline state. Under normal circumstances, when the Cluster Service starts, the default behavior is to bring all the resources online. What this switch does is ignore the current PersistentState value of the resources and leave everything offline. When you go into Failover Cluster Management and look at the groups, you will see all resources offline. I do need to bring up a couple of important notes about this switch. and Applications groups that you have in the Cluster. the Witness Disk must still be able to come online. This switch is not one that would be used that often, but when you need it, it is a blessing. Here are a couple of scenarios where the /IPS switch would come in handy. I have a Failover Cluster that held the limit of 1000 Hyper-V Virtual Machines. If you are trying to troubleshoot an issue, you can use the switch and then manually bring online only a couple of them. Do whatever troubleshooting you need to accomplish without the stress that all these machines coming online would put on the node. Once your troubleshooting is complete, you can then start the other nodes, bring the other virtual machines online, go about your business, etc. I am the administrator of the Failover Cluster and get called that my Cluster node that holds the John’s Cluster Application resource is in a pseudo hung state. Both Explorer and Failover Cluster Management hang up while the rest of the machine is real slow. If I try and move this group over to another node, that node experiences the same problems and errors. So I reboot them and when the Cluster Service starts, the machine goes into this pseudo hung state again. Looking through the event logs, I see that the Cluster Service starts fine. But I do see that John’s Cluster Application is throwing errors in the event log and those were the last things listed. I do some research on the errors and see that it is caused by a log file this application uses as being corrupt. All I have to do is delete this file and the application will dynamically recreate the file, start fine, and no longer hang the machine. That seems simple enough. But wait, I do not have access to the Clustered Drive that this application is on as Explorer hangs and I also cannot get to it from a command prompt. Power off all other nodes. The above was the only way I was going to be able to get access to the drives. Something like this can be painful and time consuming. If the nodes take about 15 minutes to boot because of the devices and the memory, it just adds to the frustrations. For those who like to see stuff on MSDN, you can get a little more information on the /IPS switch here. So as a recap, these are the only switches available for Windows Server 2008 and 2008 R2 Failover Clusters. The switches can make things easier, less frustrating, and causes less downtime. This can mean production/dollars lost are more at a minimum and that makes everyone happy. This post describes how to configure the Microsoft iSCSI Software Target offered with Windows Storage Server. One of the goals here is to describe the terminology used like iSCSI Target, iSCSI Initiator, iSCSI Virtual Disk, etc. It also includes the steps to configure the iSCSI Software Target and the iSCSI Initiator. We’ll start with a simple scenario with three servers: one Storage Server and two Application Servers. In my example, the Storage Server runs WSS 2008 and the two Application Servers run Windows Server 2008. The Application Servers could be running any edition of Windows Server 2003 (using the downloadable iSCSI Initiator) or Windows Server 2008 / Windows Server 2008 R2 (which come with an iSCSI Initiator built-in). The iSCSI Initiator configuration applet can be found in the Application Server’s Control Panel. In the “General” tab of that applet you will find the iQN (iSCSI Qualified Name) for the iSCSI Initiator, which you may need later while configuring the Storage Server. The Microsoft iSCSI Software Target Management Console can be found on the Administration Tools menu in the Storage Server. There are four methods to identify the iSCSI Initiators: iQN (iSCSI Qualified Name), DNS name, IP address and MAC address. However, you only need to use one of the methods. The default is the iQN (which can be obtained from the iSCSI Initiator’s control panel applet). If you don’t have access to the iSCSI Initiator to check the iQN, you can use its DNS name. If you’re using the Microsoft iSCSI Initiator on your application server, that iQN is actually constructed with a prefix (“iqn.1991-05.com.microsoft:”) combined with the DNS name of the computer. For instance, if the Application Server runs the Microsoft iSCSI Initiator, is named “s2” and is a member of the “contoso.com” domain, its iQN would be “FQDN:s2.contoso.com” and its DNS name would be “s2.contoso.com”. You could also use Its IP address (something like “10.1.1.120”) or its MAC address (which would look like “12-34-56-78-90-12”). Typically, you assign just one iSCSI Initiator to each iSCSI Target. If you assign multiple iSCSI Initiators to the same iSCSI Targets, there is a potential for conflict between Application Servers. However, there are cases where this can make sense, like when you are using clusters. In my example, we created two iSCSI Targets named T1 (assigned to the iSCSI Initiator in S2) and T2 (assigned to the iSCSI Initiator in S3). It did not fit in the diagram, but assume we used the complete DNS names of the Application Servers to identify their iSCSI Initiators. Next, you need to create the Virtual Disks on the Storage Server. This is the equivalent of creating an LUN in a regular SAN device. The Microsoft iSCSI Software Target stores those Virtual Disks as files with the VHD extension in the Storage Server. This is very similar to the Virtual Disks in Virtual PC and Virtual Server. However, you can only use the fixed size format for the VHDs (not the dynamically expanding or differencing formats). You can extend those fixed-size VHDs later if needed. In my example, I have created three virtual disks: D:\VHD1.vhd, E:\VHD2.vhd and E:\VHD3.vhd. You can create multiple VHD files on the same disk. However, keep in mind that there are performance implications in doing so, since these VHDs will be sharing the same spindles (not unlike any scenario where two applications store data in the same physical disks). The VHD files created by the Microsoft iSCSI Software Target cannot be used by Virtual PC or Virtual Server, since the format was adapted to support larger sizes (up to 16 TB instead of the usual 2 TB limit in Virtual PC and Virtual Server). Once you created the iSCSI Targets and the Virtual Disks, it’s time to associate each virtual disk to their iSCSI Targets. Since the iSCSI Initiators were already assigned to the iSCSI Targets, this is the equivalent of unmasking an LUN in a regular SAN device. You can assign multiple disks to a single iSCSI Target. This is very common when you are exposing several disks to the same Application Server. However, you can also expose multiple virtual disks to the same Application Server using multiple iSCSI Targets, with a single virtual disk per iSCSI Target. This will improve performance if your server runs a very demanding application in terms of storage, since each target will have its own request queue. Having too many iSCSI Targets will also tax the system, so you need to strike a balance if you have dozens of Virtual Disks, each associated with very demanding Application Servers. In my example, I have assigned VHD1 and VHD2 to T1, then assigned VHD3 to T2. Now that we finished the configuration on the Storage Server side, let’s focus on the Application Servers. In my example, the iSCSI Initiators in Application Server S2 and S3 were configured to use Storage Server S1 as target portal. The iQN of the iSCSI Target (which you will see in the iSCSI Initiator) is constructed by the Storage Server using a prefix (“FQDN:”) combined with the Storage Server computer name, the name of the iSCSI Target and a suffix (“-target”). In our example, when checking the list of Targets on the iSCSI Initiator in S3, we found “FQDN:s1-t2-target” . Once the iSCSI Initiators have successfully logged on to the targets, the virtual disks will get exposed to the Application Servers. In our example, S2’s iSCSI Initiator was configured to logon to the T1 target and S3’s iSCSI Initiator was configured to logon to the T2 target. At this point, the virtual disks look just like locally-attached disk, showing up in the Disk Management MMC as an uninitialized disk. Now you need to format and mount the volumes. After the partition is created and the volumes are formatted and mounted, you can go to the “Bound Volumes/Devices” tab in the iSCSI Initiator applet, make sure all volumes mounted are listed there and then use the “Bind All” option. This will ensure that the volumes will be available to services and applications as they are started by Windows. In my example, I have created a single partition for each disk, formatted them as NTFS and mounted each one in an available drive letter. In Application Server S2, we ended up with disks F: (for VHD1) and G: (for VHD2). On S3, we used F: (for VHD3). Next, we’ll create a snapshot of a volume. This is basically a point-in-time copy of the data, which can be used as a backup or an archive. You can restore the disk to any previous snapshot in case your data is damaged in any way. You can also look at the data as it was at that time without restoring it. If you have enough disk space, you can keep many snapshots of your virtual disks, going back days, months or years. To create a snapshot in the Storage Server, right-click the Devices node in the Microsoft iSCSI Software Target MMC and select the “Create Snapshot” option. No additional information is required and a snapshot will be created. You can also schedule the automatic creation of snapshots. For example, you could do it once a day at 1AM. This is done using the “Schedules” option under the “Snapshots” node in the Microsoft iSCSI Software Target MMC. In my example, i have created a snapshot of the VHD3 virtual disk at 1AM. Microsoft also offers a VSS Provider for the Microsoft iSCSI Software Target, which you can use on the Application Server to create a VSS-based snapshot. Snapshots are usually not exposed to targets at all. You can use them to “go back in time” by rolling back to a previous snapshot, which requires no reconfiguration of the iSCSI Initiators. In some situations, however, it might be useful to expose a snapshot so you can check what’s in it before you roll back. You might also just grab one or two files from the exported snapshot and never really roll back the entire virtual disk. Keep in mind that snapshots are read-only. To make a snapshot visible to an Application Server, right-click the snapshot in the Microsoft iSCSI Software Target MMC and select the “Export Snapshot” option. You will only need to pick the target you want to use. Unlike regular virtual disks, you can choose to export snapshots to multiple iSCSI Targets or to an iSCSI Target with multiple iSCSI Initiators assigned. This is because you cannot write to them and therefore there is no potential for conflicts. In our example, we exported the VHD3 at 1AM snapshot to target T2, which will caused it to show up on Application Server S3. The last step to expose the snapshot is to mount it as a path or drive on your Application Server. Note that you do not need to initialize the disk, create a partition or format the volume, since these things were already performed with the original virtual disk. You would not be able to perform any of those operations on a snapshot anyway, since you cannot write to it. Again, open the Computer Management MMC, expand the “Storage” node and find the “Disk Management” option. If you already have it open, simply refresh the view to find the additional disk. Then use the properties of the volume to mount it. In my example, I have mounted the snapshot of VHD3 at 1AM as the G: drive on Application Server S3. Now you might be able to find a file you deleted on that F: drive after 1AM by looking at drive G:. You can then decide to copy files from the G: drive to F: drive at the Application Server side. You can also decide to roll back to that snapshot on the Storage Server side, keeping in mind that you will lose any changes to F: after 1AM. Now that you have the basics, you can start designing more advanced scenarios. As an example, see the diagram showing two Storage Servers and two Application Servers. There are a few interesting points about that diagram that are worth mentioning. First, the iSCSI Initiators in the Application Servers (S3 and S4) point to two Target Portals (S1 and S2). Second, you can see that VHD1 and VHD2 are exposed to Application Server S3 using two separate iSCSI Targets (T1 and T2). A single iSCSI Target could be used, but this was done to improve performance. You can also see that the snapshot of VHD5 at 3AM is being exported simultaneously to Application Servers S3 and S4. This is fine, since snapshots are write-protected. This last scenario shows how to configure the Microsoft iSCSI Software Target for a cluster environment. The main difference here is the fact that we are assigning the same iSCSI Target to multiple iSCSI Initiators at the same time. This is usually not a good idea for regular environments, but it is common for a cluster. This example shows an active-active cluster, where the node 1 (running on Application Server S2) has the Quorum disk and the Data1 disk, while node 2 (running on Application Server S3) has the Data2 disk. When running in a cluster environment, the servers know how to keep the disks they’re not using offline, bringing them online just one node at time, as required. In case of a failure of node 1, node 2 will first verify that it should take over the services and then it will mount the disk resources and start providing the services that used to run on the failed node. Also note that we avoid conflicting drive letters on cluster nodes, since that could create a problem when you move resources between them. As you can see, the nodes need a lot of coordination to access the shared storage and that’s one of the key abilities of the cluster software. Again, we could have used a single iSCSI Target for all virtual disks, but two were used because of performance requirements of the application associated with the Data2 virtual disk. I hope this explanation helped you understand some of the details on how to configure the Microsoft iSCSI Software Target included in Windows Storage Server. MSMQ adapter receive handler – The MSMQ adapter receive handler for BizTalk Server 2006 R2 and earlier does not support remote transactional reads; only local transactional reads are supported. The MSMQ adapter receive handler on BizTalk Server 2006 R2 and earlier must run in a host instance that is local to the clustered MSMQ service in order to complete local transactional reads with the MSMQ adapter. MSMQ adapter send handler – To ensure the consistency of transactional sends made by the MSMQ adapter, the outgoing queue used by the MSMQ adapter send handler should be highly available, so that if the MSMQ service for the outgoing queue fails, it can be resumed. Configuring a clustered MSMQ resource and the MSMQ adapter send handlers in the same cluster group will ensure that the outgoing queue used by the MSMQ adapter send handler will be highly available. This will mitigate the possibility of message loss in the event that the MSMQ service fails. Many BizTalk Server operations are performed within the scope of a Microsoft Distributed Transaction Coordinator (MSDTC) transaction. Windows Server 2003 only supports running MSDTC on cluster nodes as a clustered resource. Windows Server 2008 supports running a local DTC on any server node in the failover cluster; even if a default clustered DTC resource is configured. To start the Failover Cluster Management program, click Start, Programs, Administrative Tools, and then click Failover Cluster Management. In the left pane, right-click Failover Cluster Management, and then click Manage a Cluster. In the Select a cluster to manage dialog box, enter the cluster to be managed, and then click OK.
To start the High Availability Wizard, i the left pane, click to expand the cluster, right-click Services and Applications, and then click Configure a Service or Application. If the Before You Begin page of the High Availability Wizard is displayed, click Next. On the Select Service or Application page, click Message Queuing, and then click Next. On the Client Access Point page, enter a value for Name, enter an available IP address under Address, and then click Next. On the Select Storage page, click a disk resource, and then click Next. On the Confirmation page, click Next. In the left hand pane, right-click Failover Cluster Management, and then click Manage a Cluster. To start the High Availability Wizard, in the left pane click to expand the cluster, right-click Services and Applications, and then click Configure a Service or Application. On the Select Service or Application page, click Distributed Transaction Coordinator, and then click Next. On the Select Storage page, click to select a disk resource and then click Next. To open the Component Services management console, click Start, Programs, Administrative Tools, and then click Component Services. Click to expand Component Services, click to expand Computers, click to expand My Computer, click to expand Distributed Transaction Coordinator, click to expand Clustered DTCs, right-click the clustered DTC resource, and then click Properties. If network DTC access is not already enabled, click to enable the Network DTC Access option. 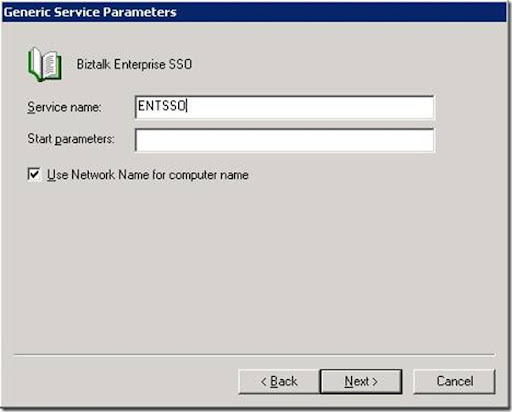 Network DTC access must be enabled to accommodate transactional support for BizTalk Server. After changing security settings for the clustered distributed transaction coordinator resource, the resource will be restarted. Click Yes and OK when prompted. Close the Component Services management console. To start the Cluster Administrator program, click Start, point to Programs, point to Administrative Tools, and then click Cluster Administrator. Click to select a cluster group other than the quorum group that contains a Name and Disk resource. Enter a value for the Name field of the New Resource dialog box, for example, MSMQ. In the Resource type drop-down list, click Message Queuing, and then click Next. In the Possible Owners dialog box, include each cluster node as a possible owner of the message queuing resource, and then click Next. In the Dependencies dialog box, add a dependency to a network name resource and the disk resource associated with this group, and then click Finish. Click OK in the dialog box that indicates that the resource was created successfully. To start the Cluster Administrator program, click Start, Programs, Administrative Tools, and then click Cluster Administrator. Click to select a cluster group other than the quorum group that contains a Physical Disk, IP Address, and Network Name resource. To create a group with a Physical Disk, IP Address, and Network Name resource if one does not already exist. Enter a value for the Name field of the New Resource dialog box, for example, MSDTC. In the Resource type drop-down list, click Distributed Transaction Coordinator, and then click Next. In the Possible Owners dialog box, include each cluster node as a possible owner of the distributed transaction coordinator resource, and then click Next. In the dialog box that indicates that the resource was created successfully, click OK.
To open the Component Services management console, click Start, Programs, Administrative Tools, and then Component Services. Click to expand Component Services, and then click to expand Computer. Right-click My Computer, and then select the Properties menu item to display the My Computer Properties dialog box. To display the Security Configuration dialog box, click Security Configuration . Stop and restart the Distributed Transaction Coordinator service. In this post I will tell a story of my experience with installation of SSO on SQL Cluster. 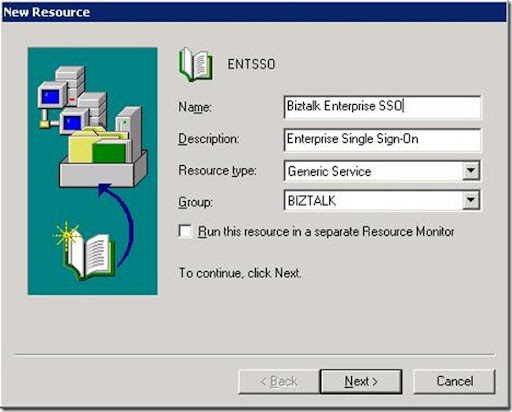 Each BizTalk Server has an Enterprise Single Sign-On service (EntSSO.exe). 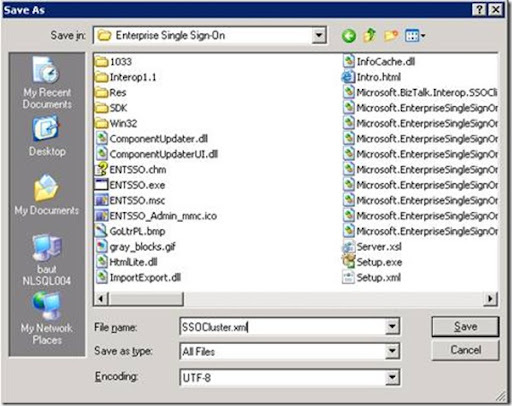 Enterprise Single Sign-On is also referred as SSO or EntSSO. SSO serves two purposes. One is for data encryption, that is, port URI data. And the other is, as what the name indicates, Single Sign-On. Single Sign-On is about credential mapping. 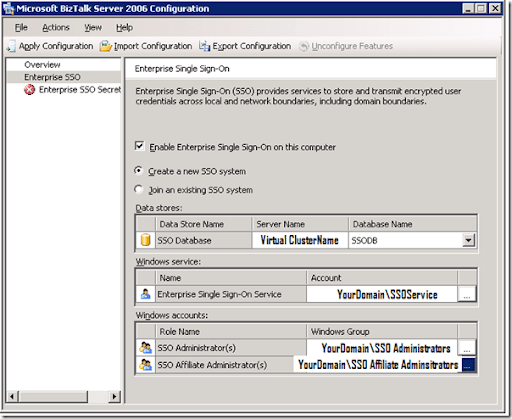 BizTalk Server SSO currently supports only Windows-initiated Single Sign-On. That means you can only map Windows users accounts to external application (affiliate application) user accounts. On the inbound side the sender is authenticated with Windows; on the outbound side, BizTalk Server automatically authenticates with the affiliate applications using the preconfigured credential mapping. Single Sign-On is a useful feature in business-to-business (B2B) scenarios. Note: However the encryption function is mandatory for a BizTalk system. Single Sign-On for credential mapping can be solved with other tools like Oracle Wallet. In addition to the SSO services running on each of the BizTalk Servers, there is a master secret server. The master secret server is a server with the SSO service running on it. 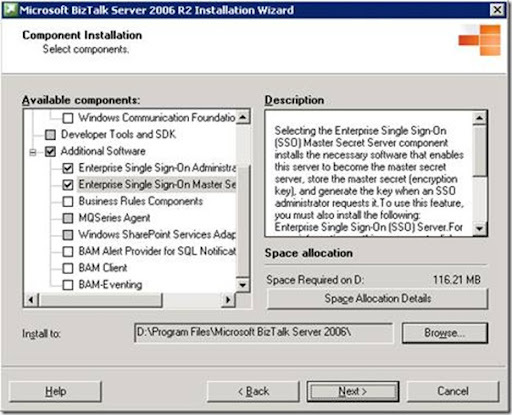 The master secret server can be one of the SSO services running on one of the BizTalk Servers, or a dedicated master secret server. It is the same executable called EntSSO.exe, but with an additional sub component responsible for maintain and supply the master secret key to the SSO services on the other BizTalk Servers. The other SSO services running on the BizTalk Servers check every 30 seconds to see whether the master secret has changed. If it has changed, they read it securely; otherwise, they continue to use the master secret they already have cached in memory. Considering there is only one master secret server in your entire environment and the dependency of BizTalk Server, it is recommended that you use an active-passive cluster configuration for the master secret server. Because the master secret server doesn’t consume a lot of resources, it is very common to use the SQL Server failover cluster for clustering the master secret server. On the first server cluster node where you run BizTalk Server Configuration, you choose to create a new SSO system. That makes the cluster node as the master secret server. The host name of the master secret server is the host name of the physical cluster node. The master secret key is automatically generated on that node. On the other cluster node, you choose to join the existing SSO system. To cluster the master secret server, you need to change the master secret server from the first cluster node host name to the virtual SQL Server failover cluster network name (NameSQL1), and create a SSO generic service cluster resource. At the end, you restore the master secret key to the other cluster nodes. So, when the cluster fails over to another node, that node has the master secret. These steps can be done using the domain admin account (usually a network senior administrator will perform these steps with this account i.e. as example I will name the account InstallBizTalk). · You must install and configure SSO on each of the cluster nodes. When you create the new SSO system on the first cluster node, this node can be either an active cluster node or a passive cluster node. · After you successfully installed and configured SSO on all of the cluster nodes, you must update the master secret server host name from a physical cluster node host name to the virtual cluster network name, and you must change the rename from an active node. · After the master secret server host name is changed, you must restart the SSO service on the active node to refresh the cache by taking the SSO cluster resource offline and then online. · You must create an SSO cluster resource before restoring the master secret key on the other cluster nodes. · Before you restore the master secret key on a cluster node, you must make it the active node first. Steps involved to successfully install and configure SSO on cluster will be outlined here. There are several SSO user groups. Two of them are required when configuring the master secret server. SSO Administrators have the highest level user rights in the SSO system; and SSO Affiliate Administrators defines the affiliate applications that the SSO system contains. 1. If you haven’t already logged on or if you are logged on with a different credential, log on to Cluster Node A using domain admin account. 3. In the Run dialog box, enter dsa.msc, and then click OK.
4. From Active Directory Users and Computers, if the YourDomain domain is not already expanded, click the plus sign (+) to expand the YourDomain.com domain. 5. In the left pane, right-click Users, point to New, and then click Group. 6. From New Object – Group, enter the following values, and then click OK.
2. In the left pane, right-click Users, point to New, and then click User. 3. From New Object – User, enter the following values, and then click Next. 4. Enter or select the following values, and then click Next. Both YourDomain\SSOSerivce and domain admin account need to be members of the YourDomain\SSO Administrators group. It is designated for installing and configuring the BizTalk Server system. 2. In the left pane, highlight Users. 3. In the right pane, right-click SSO Service, point to All Tasks, and then click Add to a group. 4. From Select Group, enter or select the following values, and then click OK.
5. To acknowledge that the account was created, click OK.
6. Repeat steps 3 to 5 to add domain admin account into the same group. You need to grant YourDomain\SSOService or YourDomain\SSO Administrators with the full control privilege on the cluster administrator. 1. If you haven’t already logged on or if you are logged on with a different credential, log on to Cluster Node A as YourDomain\IInstallBizTalk. 2. Click Start, point to All Programs, point to Administrative Tools, and then click Cluster Administrator. 3. From Cluster Administrator, in the left pane, right-click CLUSTER NODE A, and then click Properties. 4. From CLUSTER NODE A Properties, click the Security tab, and then click Add. 5. From Select Users, Computers, or Groups, enter the following values, and then click OK.
6. Verify the Allow box is selected, and then click OK.
With the accounts and permissions configured in the last step, you can now install the master secret server. BizTalk Server is not cluster aware as SQL Server is. You will need to install SSO on each of the cluster nodes. You will also need to create the SSO cluster resource manually. BizTalk Server installation process has two parts. In this step, you will install the components. And the next step is configuring the master secret server. 1. If you haven’t logged on, log on to Cluster Node A as YourDomain\InstallBizTalk. 2. Run setup.exe to install BizTalk Server 2006 R2. 3. On the Start page, click Install Microsoft BizTalk Server 2006 R2 on this computer. 4. On the Customer Information page, enter information in the User name box, the Organization box, and the Product key box, and then click Next. 5. On the License Agreement page, read the license agreement, select yes, I accept the terms of the license agreement, and then click Next. 6. On the Component Installation page, clear all the check boxes, select Enterprise Single Sign-On Administration Module and Enterprise Single Sing-On Master Secret Server from the Additional Software group, and then click Next. 7. On the Summary page, click Install. 8. On the Installation Completed page, clear Launch BizTalk Server Configuration check box, and then click Finish. Repeat the same steps to install the SSO components on Cluster Node B.
Configuring the master secret server has three parts, creating SSO database, assigning SSO service account, and backing-up the master secret. Notice there are two options, create a new SSO system, and join an existing SSO system. On the first cluster nodes, you must choose to create a new SSO system. When you create a new SSO system, you must specify the database server name, and the database name. But you don’t need to specify the master secret server host name. The current host name, becomes the default master secret server. Later, you must change the master secret server from the physical cluster node host name to the virtual cluster host name, YourVirtualServerName. It doesn’t matter whether Cluster Node A is the active node or a passive node when you go through this procedure. 2. Click Start, point to All Programs, point to Microsoft BizTalk Server 2006, and then click BizTalk Server Configuration. 3. On the Microsoft BizTalk Server 2006 Configuration page, choose Custom Configuration, enter the following values, and then click Configure. 4. in the left pane, click Enterprise SSO. 6. In the left pane, click Enterprise SSO Secret Backup. The Enterprise SSO secret is very critical. You must back it up to a file. It is a good practice to burn the key into a CD and store the CD in a safe place. 9. On the Summary page, to apply the configuration, click Next. 10. Verify that the Configuration Result is Success, and then click Finish. 11. Close Microsoft BizTalk Server 2006 Configuration. On the second node, you choose to join the existing SSO system. When joining the existing SSO system, it shares the SSO database of the existing SSO system. 1. If you haven’t logged on, log on to Cluster Node B as YourDomain\InstallBizTalk. 7. On the Summary page, to apply the configuration, click Next. 8. Verify that the Configuration Result is Success, and then click Finish. 9. Close Microsoft BizTalk Server 2006 Configuration. When SSO was configured on the first cluster node, it created a new SSO system. It used the host name of the physical cluster node as the master secret server host name that is Cluster Node A. You must change it to the server cluster virtual name, which is YourVirtualClusterName. This procedure must be carried out from the active cluster node. All it does is to update the master secret server field in the SSO database. 1. If you haven’t already logged on, log on to Cluster Node A as YourDomain\InstallBizTalk. 2. Open a notepad.exe, create a file with the following content, and then save it as “C:\Program Files\Common Files\Enterprise Single Sign-On\SSOCluster.xml” (with the double quotes). The content is case sensitive. 3. Open a command prompt, and then change directory to the C:\Program Files\ Common Files\Enterprise Single Sign-On\ folder. BizTalk Server is not cluster aware. So you must manually create the master secret server cluster resource. You can either create a dedicated virtual server (cluster group) for the SSO cluster resource, or use an existing cluster group. The instructions provided use the SQL Server Cluster Group. If you create a dedicated cluster group, you also need to create a network name cluster resource depended by the SSO cluster resource. 1. If you haven’t already logged on, log on to Cluster Node A as YourDomain\InstBizTalk. 3. In the left pane, expand CLUSTER NODE A, expand Groups, and then expand SQL Server Cluster Group. If you get a prompt before it opens Cluster Administrator, choose Open Existing Cluster, and point it to CLUSTER NODE A. 4. Right-click SQL Server Cluster Group, click New, and then click Resource. 5. From New Resource, enter or select the following values, and then click Next. 6. From Possible Owners, verify that CLUSTER NODE A and CLUSTER NODE B are in the Possible owners list, and then click Next. 7. From Dependencies, select SQL Network Name (Cluster Node A) and click Add. And then click Next. 9. From Registry Replication, click Finish. Do not configure any registry keys for replication in the Registry Replication dialog box. Replication of registry keys is not a requirement when creating a SSO cluster resource and, in fact, may cause problems when failover of this cluster resource is attempted. 10. In the details pane, right-click ENTSSO, and click Bring Online. Verify that the state is changed to Online. Before restoring the master secret on Cluster Node B, you must make Cluster Node B as the active cluster node, and restart the cluster resource by taking the cluster resource offline and then online. 1. Log on to Cluster Node B as RBW-NL\InstBizTalk. 4. If Cluster Node B is not the active cluster node, in the left pane right-click SQL Server Cluster Group, and then click Move Group. Wait until all the cluster resources are online. 5. In the details pane, right-click ENTSSO, and then click Take Offline. Wait until all the cluster resources are offline. 6. In the details pane, right-click ENTSSO, and then click Bring Online. Wait until all the cluster resources are online. 1. Copy the master secret backup file, C:\Program Files\Common Files\Enterprise Single Sign-On\SSOSecret.bak, on Cluster Node A to the same folder on Cluster Node B. SSOSecret.bak is how you named the file when you configured the master secret server on Cluster Node A. 2. Open a command prompt, and then change the directory to C:\Program Files\Common Files\Enterprise Single Sign-On. Through following this procedure you will be successful in deploying SSO on SQLCluster and configure SSO. My experience is that in following this procedure with an senior administrator inside an organization works the best. This procedure us done with BizTalk Server 2006 R2, but is also suitable for BizTalk Server 2009. Lots of customers ask about configuring SQL Server Integration Services in a failover cluster. I recommend that you DON’T configure SSIS as a cluster resource. There are almost no benefits to doing so, and you can gain many of the benefits that you want by simple configuration changes. By editing the configuration file for the SSIS service on each node of a cluster, you can manage the packages on any node from any other node. For more information, please see the Books Online topic, Configuring Integration Services in a Clustered Environment. I agree that restarting a running package automatically would be neat, but this would be different from other cluster-aware technologies (and other failover technologies) that we have. For example, if a failover happens with SQL Server, the queries do not restart, and other jobs running in Agent do not restart. I suppose it would be possible to write a job to check for jobs that did not complete successfully and restart those jobs, then schedule the that job to run at startup. That sounds feasible, but I have never done that. What I’m describing is supported out of the box. It is really the same process that you must go through to manage package on a standalone machine with multiple instances (or even just one named instance). I find this question to be the most common question that customers have when I go onsite. Customers usually just do not understand the function of the SSIS service. When I explain it to them, and we work through it together, they are satisfied. 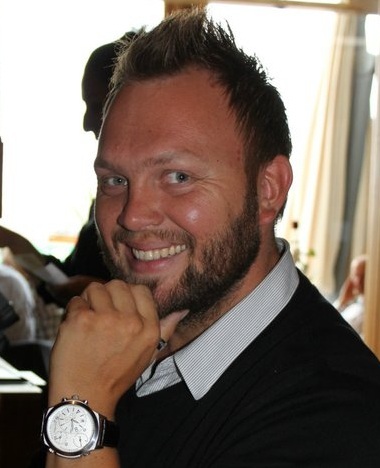 I’ll explain here what I go through with customers, and students in the SSIS workshop. In the top level folder, the servername is “.”, which means it will only connect to the default instance on the local machine (local to where the service is running). So when I connect to that SSIS service, I can only see the default instance on the machine where the SSIS service is running. Everything here is relative to where the service is running. (I tell students that it is the center of management for SSIS). I can connect to this machine with Management Studio on any machine, but with this configuration, I will only see the default instance running on the machine where the SSIS service I connected to is running. So now, I can see running packages on either server, I can import, export, or manually start the packages. But none of this is really necessary to be able to design, install, or run those packages. The Service is just for convenience for managing this. So now, let’s take this concept to a cluster. For our cluster, let’s have 4 nodes names Node1, Node2, Node3, and Node4. On this, let’s install 4 instances of SQL in 4 separate resource groups. Let’s use the network names net1, net2, net3, and net4, and let’s install instances InstanceA, InstanceB, InstanceC, and InstanceD on those net names respectively so that the full names of our instances will be net1\InstanceA; net2\InstanceB; net3\InstanceC, and net4\InstanceD. Any of the 4 nodes can host any of the instances in our setup. So now, whatever machine I put that config file onto will see and be able to manage packages on those 4 machines, just as in the screenshot above, I can see the packages and manage them on those two instances. If I put this on node1, then if I connect to node1, I can manage all of them from that machine. But just having it on one node will be a bit of a pain. So, once I have this configured, and I have tested to make sure it will see all the instances where I want to manage packages, I just copy the MsDtsSrvr.ini.xml file into place on node2, node3, and node4 (if I have installed the SSIS service on those nodes). Now, I can connect to SSIS on any of those nodes. Most DBAs don’t care what the node names are, but they know the network names of their SQL Server instances very well. In that cluster configuration we described, these network names resolve to IP addresses that move with the SQL Server instance when it fails over. So from Management Studio on the DBA’s workstation, he can connect to the SSIS service on net1 and see all 4 instances on his cluster. If it fails over, and he still wants to connect to SSIS to manage packages on any of the 4 nodes on that cluster, he could connect to net1, and it would connect to the SSIS service running on the node where Net1\InstanceA is now hosted, and he will still see the same thing – he doesn’t know or care that he is now connected to the SSIS service on a different node. If he wanted to, he could even specify the cluster name (instead of any of the SQL network names) and still connect to an SSIS service and still see the same set of folders. In some environments, the DBA has one server that is his/hers where they set up their management tools. The SSIS configuration that we have allows the DBA to be able to configure the XML file on that one machine to see and manage packages on all instances and machines that they manage by connecting to a single SSIS service. He/she just needs to configure the XML file on that one machine. Where I see confusion/frustration from customers is that they think of Management Studio as the center of their management tools. With SSIS, it is the SSIS service that is the center of the management tools. Customers, before education, think of the SSIS service as running the packages, but this is not the case. The SSIS service is for management. Management Studio gives them a graphical interface into the service, but the center of management for SSIS is the SSIS service. If I have one complaint about this, it is that we do not really have a front end for customers so that they don’t have to manually edit the XML files. But really, that XML file is so simple that it is not difficult to edit with tools like Notepad or XML Notepad. And in that situation, what have we gained if we cluster the SSIS service? The preceding information is presented here for exactly what it is: the educated opinion of an experienced Microsoft field engineer. What many corporate customers are really looking for, presumably, is high availability for ETL processes, especially long-running processes. Except for its support for transactions, and its ability to restart from checkpoints after failure, SSIS out of the box doesn’t currently have a complete answer for HA concerns.